Have you ever wondered what laser therapy might be like? At Winslow Animal Hospital, we use laser and other methods from our rehabilitation center to help your pet recover quickly from orthopedic surgery. 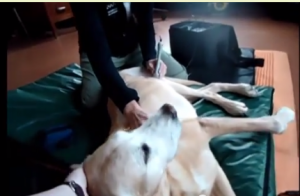 In the video below, you will see a Labrador Retriever named Max in laser therapy.